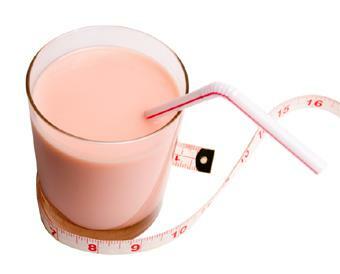 Liquid diets are fairly popular, and usually deliver on their promise of quick weight loss. But are they healthy, and is the weight loss sustainable? A liquid diet is used for two distinct purposes: as a medical intervention or as a meal replacement. When used for medical intervention, it is only under a doctor's close supervision and only for a short period of time. The medical liquid diet is designed to prepare a person for surgery or a medical procedure, while still permitting them to ingest calories for energy. Such procedures as colonoscopy require a completely empty digestive tract, and the only way to achieve that state is by eliminating solid foods for a specific time frame. In very rare cases, extreme obesity may be treated with this type of medical diet. The liquid meal replacement, in contrast to the medical intervention, is widely used as a means of quickly losing small amounts of weight. Most plans provide some sort of nutrition drink -- usually a sort of milkshake -- to be consumed three to five times daily. One solid meal is allowed each day. These diets are very low in calories, seldom exceeding 1200 calories per day. Some liquid diets, such as Slim Fast, have become so popular that they have expanded their product line to include snack bars, prepackaged meals, and other "diet aids." Liquid diets are tempting, with their promise of swift and virtually painless weight loss. However, they present many grave concerns to health care providers. Insufficient Calories: All too often, the person on a liquid diet fails to consume enough calories to stay healthy. No one should attempt an extremely low calorie diet without the permission and supervision of a competent physician. Inadequate caloric intake can put the body into a state of starvation and may cause a myriad of health problems in both the short- and long-term. Insufficient Fiber: Most of these drinks do not contain enough fiber to stimulate the digestive processes, so they may cause constipation or severe diarrhea. Lack of Vital Nutrients: While the meal replacement drinks are fortified with various vitamins and minerals, they are still lacking in many of the crucial macronutrients the body needs for adequate organ function. They are especially lacking in protein and essential fatty acids. Not Permanent: The worst aspect of liquid diets is that they do not teach a person better, healthier eating habits. The result is that the weight loss achieved on the plans is not permanent; as soon as a normal eating pattern is resumed, the dieter begins to regain lost pounds, and may end up in worse shape than before. A safer, healthier, more sustainable way to lose weight is to follow a sensible eating plan, incorporate exercise into your daily activities, get adequate sleep, keep hydrated, and reduce stress. These five factors are the bedrock of a healthy, active, and satisfying life, and they will help you achieve and maintain an appropriate weight.